When A. Duie Pyle analyzed several months’ worth of delivery data by shipment size, it discovered a large portion of deliveries were actually quite small shipments for a less-than-truckload carrier. And there, the Northeast regional LTL saw an opportunity in last-mile delivery. Enter the Express Solutions business, which aims to offer same-day service in all the metropolitan markets in the Northeast by the end of the year. Last-mile delivery, sometimes called final mile, is an item’s final destination in the supply chain, whether that be the local Walmart or shoe store or office building — or increasingly, thanks to the rise of e-commerce and omni-channel marketing, the customer’s home. Because e-commerce is booming, the need for final-mile delivery means both headaches and opportunities for companies in a wide swath of the transportation and logistics business, from small couriers to UPS and FedEx, and from regional delivery fleets to big LTL and truckload carriers like XPO Logistics and Schneider. “The rise of e-commerce has created a tidal wave of demand for last-mile logistics — it requires ongoing investments in scale and technology to keep ahead of consumer expectations,” says Charlie Hitt, president of XPO Last Mile. At one end of the scale, for small packages, technology such as drones and robots are being explored. At the other end, an increasing appetite for delivery of larger items means less-than-truckload and truckload carriers are increasingly getting involved. “White-glove” services, which involve not just delivery, but also assembly, setup and installation, are booming. And behind the scenes, making the complex requirements of last-mile delivery possible — and more importantly, profitable — is sophisticated computer technology. In 2015, Amazon founder and CEO Jeff Bezos predicted that while Amazon delivery drones were still “years” away, someday they will be “as common as seeing a mail truck,” according to published reports. We’re certainly not there yet, but Amazon and UPS are among the companies testing drones for commercial package delivery. Meanwhile, autonomous robot-delivery devices could show up on the ground even sooner than drones in the air. Amazon last December started a beta test with a handful of customers in England of its Prime Air service, which promises to make deliveries of products weighing up to 5 pounds from dog biscuits to tech gadgets via drone in 30 minutes or less. In February, UPS worked with Workhorse Group to test incorporating drone delivery into day-to-day delivery operations. 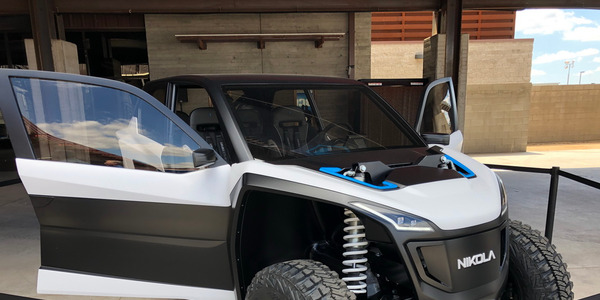 The drones launch from the top of an electric-drive UPS package car, autonomously deliver a package to a home, then return to the vehicle as the delivery driver continues along the route to make a separate delivery. 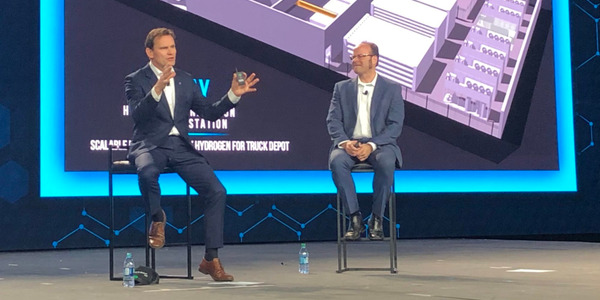 A similar scenario was envisioned at the IAA Commercial Vehicle show in Germany last fall, when Daimler showcased the Mercedes-Benz Vision Van, a concept electric-powered delivery van. It also launches drones from the roof, but they are loaded and launched entirely automatically while the driver continues making deliveries. Back on the ground, a company called Starship Technologies has developed a cute six-wheeled delivery robot. The company launched pilot programs in five cities in Europe last year, and recently secured approval for pilot-testing in Coeur D’Alene, Idaho, Washington, D.C., and Redwood City, California. These early tests involve delivery of groceries or take-out food directly from company to consumer via sidewalks. But Mercedes-Benz Vans believes they also could be used to greatly enhance the efficiency of last-mile delivery. Working with Starship, the company developed a “Robovan,” configured to allow the robots to exit the van autonomously during delivery stops. The robots will be loaded with their goods in the Robovan using a racking system that enables 400 packages to be delivered every nine-hour shift, compared to 180 packages using previously available methods, an increase of over 120%. And with Uber’s push for true autonomous vehicles and the belief that they go hand-in-hand with freight movement, perhaps in the future you’ll see drones and robots deploy from a driverless version of one of these vans. At the other end of the spectrum, last-mile delivery is increasingly meaning larger items and more hands-on service. As delivery of e-commerce has at times strained the capacity of FedEx and UPS, the parcel carriers have increasingly been trying to do less business with big, heavy items that don’t fit their automated systems. So they’ve significantly hiked fees for oversize items like kayaks, office chairs or rugs. And then there are things like washing machines and gun safes that you would never look to a parcel carrier for. 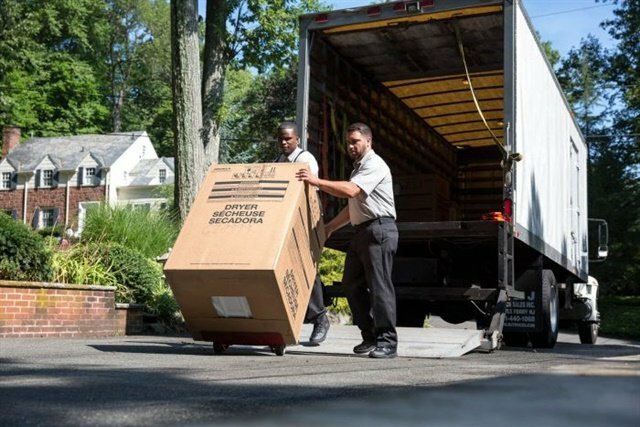 A survey by business consulting firm AlixPartners on B2C trends and home delivery found that barriers to ordering large or bulky items such as furniture and appliances seem to have come down. Unwillingness to purchase appliances online fell from 38% in 2012 to just 12% in 2016. More consumers are now willing to order these large items online for delivery to the home than just a few years ago – 88%, up from 62%. In the past, those large items might be delivered by a guy from your local appliance store who might get it to you next week, or shipped via LTL. But for LTL carriers, even those pulling 33-foot pups, it’s tough for a Class 8 rig to get in and out of residential neighborhoods. Drivers have to avoid mailboxes, kids on bikes and overhanging tree branches. Then they have to manhandle heavy delivery items, offloading from trailers designed more for docks and street-side office deliveries, using pallet jacks to pull deliveries up steep driveways or through muddy yards. “Heavy goods, in particular, require special considerations, such as whether a doorway is wide enough to accommodate a large appliance, and, of course, whether someone will be home to take receipt,” Hitt says. At Texas-based LTL Central Freight Lines, drivers spend an average of 22 minutes longer at residential deliveries than business deliveries, says President Don Orr. “That’s over 100% longer. And it’s hard to get paid for it.” That’s why his company is not one that’s jumping into the last-mile space. 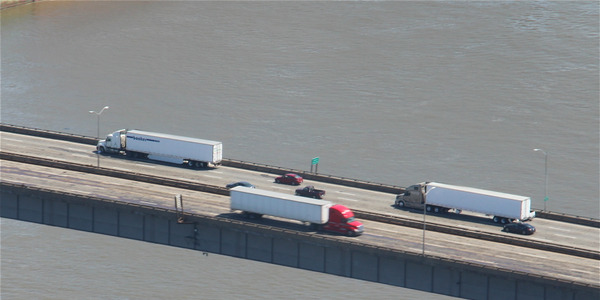 Despite the challenges, however, some LTLs (and even some truckload carriers) have been creating last-mile divisions with equipment, training, and technology developed specifically for that purpose. 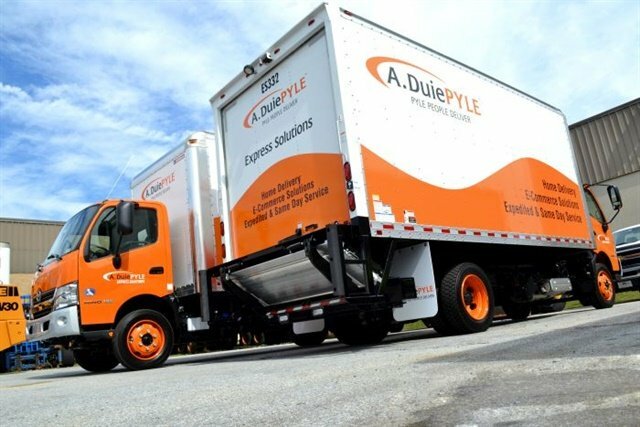 That’s exactly what A. Duie Pyle is doing with its new Express Solutions division. It spec’d out a Hino straight truck with liftgate and additional visibility and safety equipment designed specifically for last-mile delivery. The New York fleet is even diesel-electric hybrid. 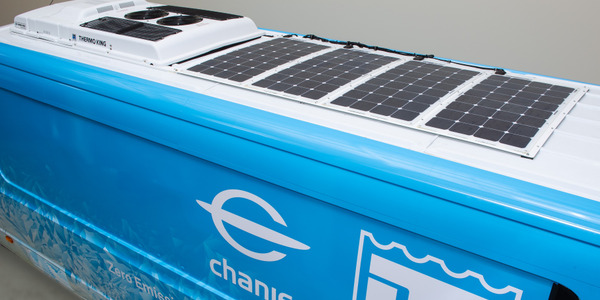 Other carriers, however, are looking to partner with companies already involved in last-mile delivery. On that panel, carriers including YRC, Reddaway and Roadrunner said they saw opportunities for partnerships with the association’s members in areas such as “white-glove” residential deliveries, home deliveries that require quick responses to e-commerce demands, deliveries that require unique experience or equipment, and reverse logistics. 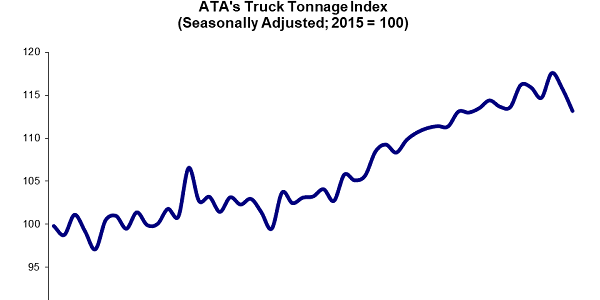 Truckload carriers are also getting into the game. 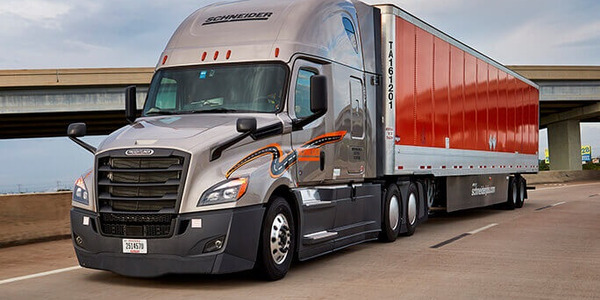 Wisconsin-based trucking giant Schneider, for instance, offers Final Mile+, which gives shippers varying levels of custom delivery and assembly options, with proprietary tracking visibility at every stage of shipping, and a reverse logistics service to make returns easy. The need to work with partners especially arises when it comes to what’s called “white-glove” service, where customers not only need an item delivered, but also set up or installed. Enter companies like the members of CLDA. John Benko, a former airline guy who moved into ground transportation and logistics, joined the organization in 2004 when it was the Messenger and Courier Association. He was involved in the rebranding the association as it adapted to changes in the industry, including less demand for urgent courier delivery and more demand for e-commerce and final-mile solutions. He is currently the group’s president, as well as chief strategy officer at Birmingham, Alabama-based final-mile company Pace Runner. 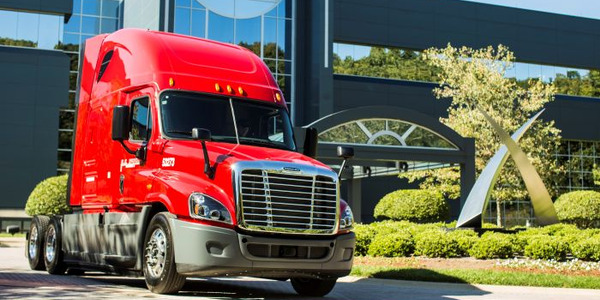 The group’s members, he says, have expanded into white glove, threshold, e-commerce, LTL work, and a host of other verticals that require different and larger equipment. With the advent of Amazon and other large online retailers, E-commerce has shifted retail from bricks and mortar to online. That and the “I need something immediately” mentality of today’s consumer have been a boon to these carriers, which operate everything from light vehicles to tractor-trailers and warehousing. Benko’s own company, Pace Runners, is growing at a rate between 30 and 50%, which he calls “explosive growth.” The company operates some straight trucks but primarily offers customer services via independent contractors or agents. That kind of nimbleness is helping these smaller last-mile carriers compete against the likes of UPS and FedEx with large e-commerce shippers. The big challenge in taking advantage of opportunities in last-mile delivery is to figure out how to do it efficiently and profitably. And that’s where computer technology comes in. 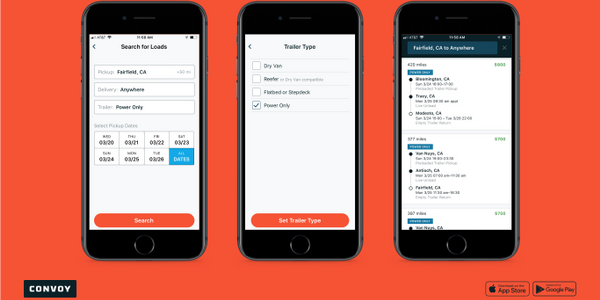 Carriers such as XPO and Schneider offer proprietary IT to allow both shipper customers and that shipper’s end-user customers to stay informed and in control of the delivery experience. But there also are third-party software companies making the last mile possible. TCG focuses on the “costing” and profitability aspect of the enterprise with its TCG Final Mile CIS (cost information system). It’s a specialized version of the TCG system used by many LTLs, without the linehaul but with more detail in delivery options specific to final-mile operations, such as extra efforts required at the stop. 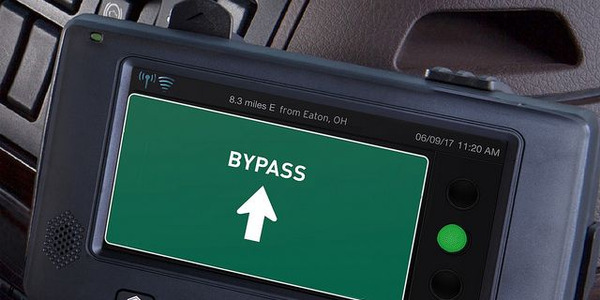 The software “costs” every shipment, pulling in information such as fuel consumption point to point from the electronic logging system and tolls paid through automated tolling systems such as PrePass. 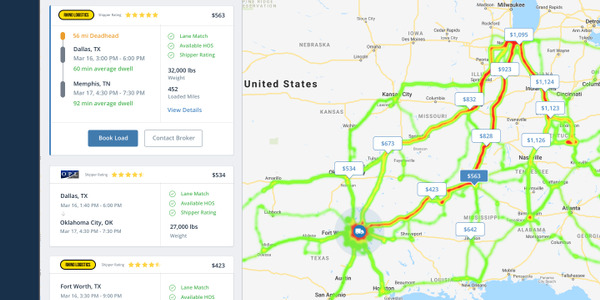 With that kind of data, the carrier can determine the most and least profitable customers, lanes, zip codes, etc., and figure out pricing for future bids. This helps address one of the big problems with last-mile delivery in residential areas — that the lack of density makes last-mile deliveries generally more time-consuming and costly than a traditional LTL or parcel delivery. “They could determine, for instance, that the volume of freight on Mondays and Tuesdays is greater than the rest of the week because people are ordering stuff on weekends, so they might have a different price for Monday and Tuesday deliveries than for Thursday or Friday deliveries. If they’ve got the data and have it organized in the proper way, then they can make those determinations,” says TCG’s Manning. Paragon, which is based in the UK but offers its Paragon HDX last-mile fulfillment technology in the U.S. and other countries, notes that according to a consumer survey last year by OC&C, the shift to e-commerce is increasing the cost to fulfill dramatically, with a $45 item now costing $15 for a two-man delivery to fulfill. “Making small-volume deliveries to a large number of different locations, next day or even same day, can make a retailer’s delivery operation very costly,” says Will Salter, CEO of Paragon. “In the past, retailers were able to dictate when a customer received deliveries. Now it’s the other way around — customers tend to drive the service levels… want to choose the day and time window, and are keen to see that at the point of sale before they commit to buy. This is where that back-end technology comes in. “The biggest change from a technology point of view is moving upstream when you’re considering logistics decisions,” explains Brian Larwig, vice president and general manager of optimization at TMW, which offers Appian final-mile software.